The above prices are subject to an additional $159 for taxes/fees levied on flights that occur as part of the tour. The internal airfares ARE included (any exceptions are listed in red below), but we list the taxes separately on your invoice as they are beyond our control and can change at any time. Optional Single Supplement: $3125 USD (number of singles limited). This tour may require a mandatory single supplement charge of $1562 if you join our share program and we are unable to pair you. 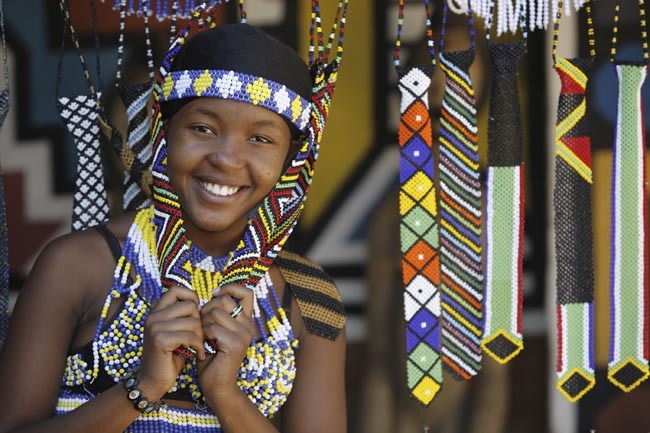 Southern African Circuit Tour from Adventures Abroad: The bustling streets of cosmopolitan Johannesburg serve as the perfect introduction to our tour through the lands and cultures of the African south, since its extraordinary wealth of diversity epitomizes the cultural richness of the continent in its entirety. 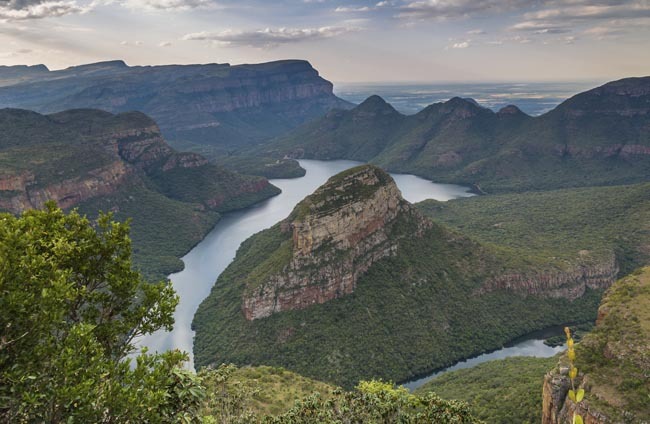 From frenetic urban centres to wilderness, we travel through sweeping grasslands to Low Veld, an arid region characterized by rocky hills and acacia scrub forest, and on amid vast mountainscapes to admire the magnificent Blyde River Canyon. Further south, we soak in the aptly named vistas of Wonder View, God's Window and the Pinnacle. No tour to these world-famous African safari destinations would be complete without making some attempt to investigate the teeming wildlife on display and our adventure cuts no corners in bringing you the best of nature. Namibia's Etosha National Park, despite the fact that it is one of the world's largest national parks, is often referred to as the best-kept secret of African safari destinations; and Botswana's Okavango and Chobe parks offer views of huge herds of impala, wildebeest, zebras and elephants, prides of lions, packs of wild dogs and cheetahs. 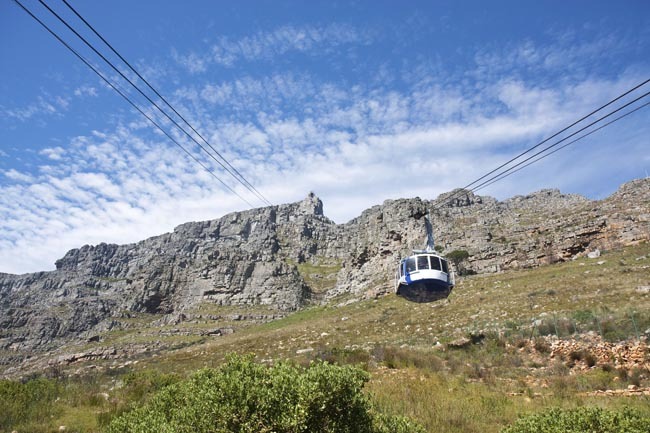 As we make our leisurely course through four hugely rewarding and distinguished countries, we marvel at some of the most unforgettable sceneries on the planet; from the jaw-dropping panoramas atop Table Mountain in South Africa and the endless rolling hills of sugarcane in Swaziland, to the magnificent technicolour desolation of Namibia's Namib desert and our aerial view of the legendary marshlands of the Okavango Delta in Botswana. South Africa was excellent, & we were accompanied by a great guide. He and we did not miss a beat. Wonderful! Arrival in Johannesburg. 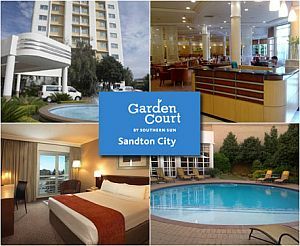 We transfer to our hotel in Sandton, a suburb north of Jo'burg. Flight schedules permitting, we will have a brief tour of Windhoek, a small, rather elegant city with a distinctly German feel about it, located in the country's central highlands. The city is full of trees and gardens, plus some splendid buildings dating from the turn of the century, all jumbled up with post-modernist office blocks in a swirl of ethnic mix. The multicultural nature of Namibia is most evident on the streets, where you can see influences of the Wambo, Herero and Damara people, among many others. Remainder of the day for relaxation in some of the city's fine German konditerais (German-style pastry and bake shops) and/or shopping for souvenirs such as gemstones and tribal crafts. Today you will meet our Namibia-based Tour Leader and enjoy a welcome dinner this evening. * NOTE: The cost of this flight is NOT included in the land only tour price. We can quote / book this fare for LAND ONLY passengers at the current rate. This morning we leave the capital and head north toward Etosha National Park* with lunch en route. Time-permitting, we may be able to have a little game drive in the park this afternoon after a break to settle in. Etosha National Park covers 22,270 km², of which approximately 5,000 km² is made up of saline depressions or 'pans'. The largest of these pans, the Etosha Pan, can be classified as a saline desert in its own right. The Etosha Pan lies in the Owambo Basin, on the north-western edge of the Namibian Kalahari Desert. Until three million years ago it formed part of a huge, shallow lake that was reduced to a complex of salt pans when the major river that fed it, the Kunene, changed course and began to flow to the Atlantic instead. If the lake existed today, it would be the third largest in the world. Etosha is the largest of the pans at 4,760 km² in extent. It is nowadays filled with water only when sufficient rain falls to the north in Angola, inducing floods to flow southward along the Cuvelai drainage system. * Please note: Occasionally, due to operational reasons, this itinerary may operate in reverse. The park consists of grassland, woodland and savannah. Game-viewing centers on the numerous springs and waterholes where several different species can often be seen at one time. The park boasts some 114 mammal and over 340 bird species. Wildlife that one might see includes elephant, lion, giraffe, blue wildebeest, eland, kudu, gemsbok (Oryx), zebra, rhino, cheetah, leopard, hyena, honey badger and warthog, as well as the endemic black faced impala. Our day and lunch placement are somewhat free-form to take into account seasonal variations, weather, and travellers' interest. Today we re-locate to the park's western sector with a full day of game viewing along the way with a lunch stop en route. Our route will likely take us via selected waterholes such as Goas, which are normally particularly good for game viewing, to the western gate, eventually leaving the park before sunset, arriving with enough time to relax and freshen up before for dinner. After an early breakfast the road takes us south into the wonderful and diverse heart of Damaraland where we will spend the next two nights at our lodge. Damaraland is typified by displays of colour, magnificent table-top mountains, rock formations and bizarre-looking vegetation. The present day landscape has been formed by the erosion of wind, water and geological forces which have created rolling hills, dunes, gravel plains and ancient river terraces. It is the variety and loneliness of the area as well as the scenic splendor which will reward and astound you, giving one an authentic understanding of the word 'wilderness'. If time allows this afternoon (or tomorrow if we are running late) we will visit the nearby attractions and geological sites of the pre-historic Twyfelfontein rock engravings (recently declared a UNESCO World Heritage Site). We will arrive in the late afternoon after a long yet rewarding day, with time to enjoy sundowners before dinner. Today is dedicated to exploring this remarkable and fascinating area with our guides. After an early breakfast we will be treated to a memorable 4x4 excursion along the ephemeral Aba Huab River valleys to explore this remarkable region and to search for game, including the elusive desert adapted elephants if they are in the area. Damaraland is home to a variety of desert adapted wildlife and hidden desert treasures. As the elephants are mostly active in the mornings we will normally have the best chance to see them then before returning to camp for lunch. However, if all travellers are in agreement, we could possibly take a picnic lunch and stop to enjoy that in the shade of a large Ana tree by the riverbed, ideally while watching a herd of elephant browsing nearby. On return to camp there should be time to relax and enjoy some pre-dinner drinks while admiring the stunning views of our surroundings at sunset. Today our journey south continues, past Namibia's highest mountain, the Brandberg, which peaks at 2573m/8,440 ft above sea level, and take time to view game and absorb the vastness of the scenery along the way. 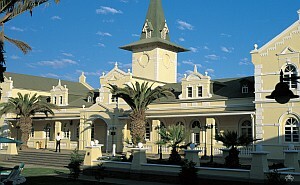 Our destination is the German colonial resort town of Swakopmund. This is Namibia's second biggest town and traditional "summer capital", and one of the most surreal places in this surreal country. You approach the town through the endless expanses of the Namib Desert, one of the world's largest wilderness areas. Then, through the mists (it is almost always misty in the morning and late afternoon) Bavarian spires and elaborate Germanic architecture rise through the fog banks. The boom of the surf on the notorious Skeleton Coast is an ever-present reminder of the icy Atlantic Ocean beyond. We will have some time for a stroll around town before dinner. 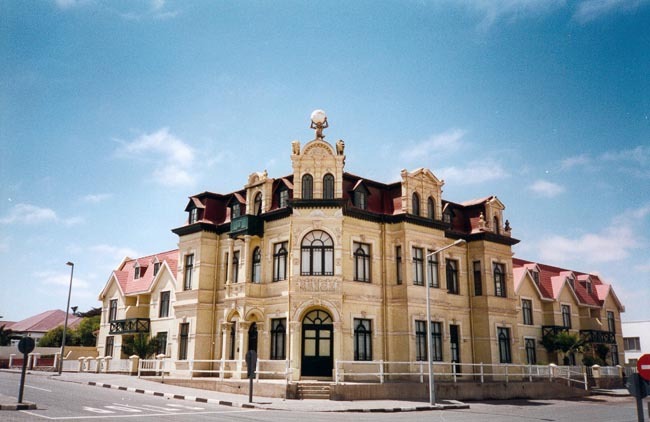 Today is free to wander the streets of charming Swakopmund. 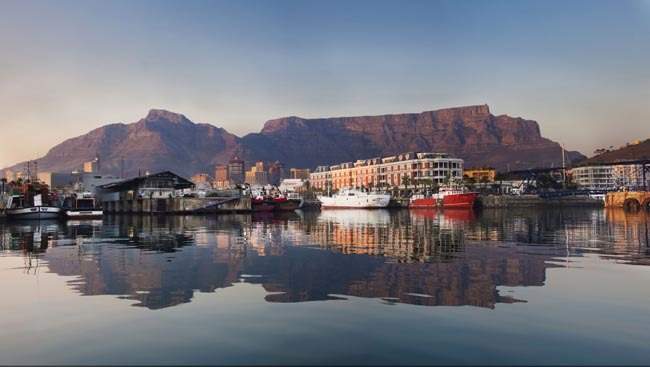 The town is an eclectic mixture of Bohemian and Bavarian, home to an intriguing mix of artists, hippies, strait-laced descendants of German settlers, stately Herero women in Victorian dress, and hardened miners, game rangers, safari operators and fishermen. 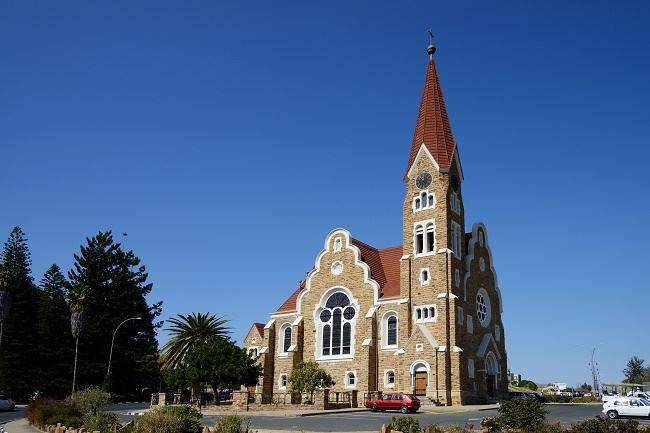 Swakopmund exudes romance and history, a rich cultural melting pot of old and new. Nighttime entertainment ranges from sophisticated spins on the casino's roulette wheels, through raucous parties at the many pubs and restaurants, to an assortment of	drama, music and cultural events. It is indeed odd to be in a little corner of old Bavaria wedged between one of the world's harshest deserts and even harsher coastlines. You may wish to participate in an optional activity, including "Living Desert" excursions of the amazingly diverse Namib Desert biosphere; marine cruises on the Walvis Bay lagoon and outer harbour, scenic flights, camel rides, and many more (your Tour Leader can advise on current pricing and book in advance once you arrive on the tour). We continue our journey south toward Namib-Naukluft Park via Solitaire and the spectacular rocky Kuiseb Canyon (photo stops en route) -- with possible sightings of baboon, rock hyrax, or, if lucky, leopard. We travel through magnificent colours, pastel-basted rock formations, and waves of taupe-coloured grasses. Even the clouds are tinged orange-pink as distant dunes reflect their colour skywards! In the Nama language, Namib means vast, and this is an understatement. At the opposite end of the moisture scale is the parched Namib Desert with endless orange dunes blown into razor sharp ridges by the sand-shifting wind. 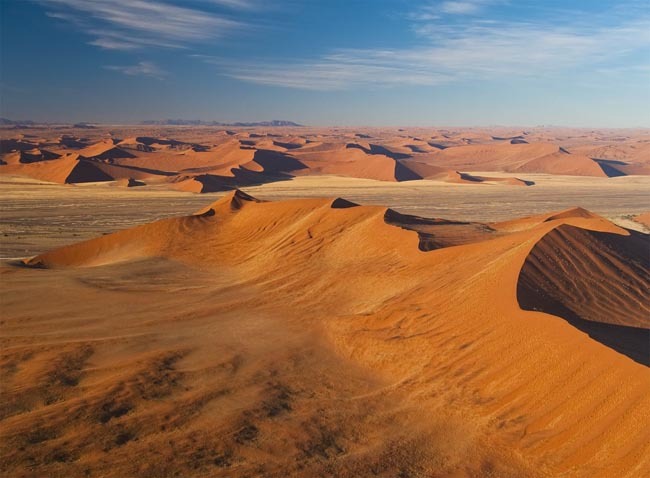 The famous Sossusvlei sand dunes at 300m (1,000 ft), are the highest in the world, towering over their nearest rivals in Arabia, and just begging to be climbed. Animals, insects, and plants have adapted to live in this generally inhospitable region and apart from infrequent rains, rely on the sea mist that rolls far inland. En route we have the chance to see kudu, springbok, gemsbok and black eagles set against some of the most expansive and dramatically rugged scenery in the world. En route we have several stops for scenery viewing and photos. Upon arrival this afternoon you will have time to wander the land around our lodge and enjoy the multi-hued sands, strange twisted acacia trees, and almost guaranteed perfect sunset. We will have a picnic lunch en route. 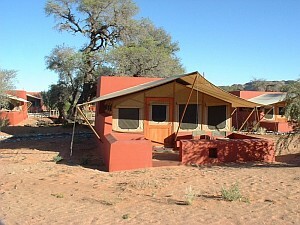 Overnight in the vicinity of the Namib-Naklauft National Park. Very early this morning we drive into the park to a special place called Sossusvlei, a huge dried up pan (vlei) which sporadically holds water, at the base of some of the most spectacular dunes in the Namib. We watch the morning sun light up the apricot coloured sands, the long shadows accentuating the graceful, almost feminine curves of the dune crests. 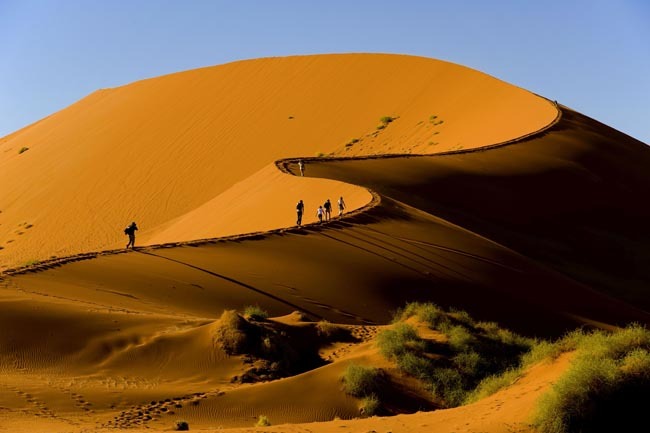 These immense rich ochre sand dunes are one of the most wondrous sights in the world. 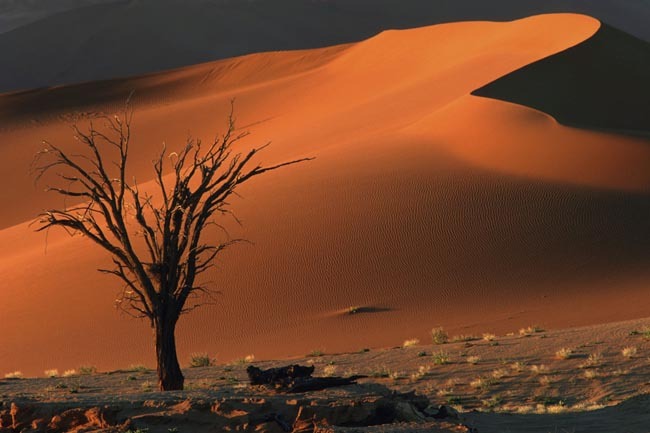 Geologists say that this desert, covering most of the Namib-Naklauft Park, could be the oldest in the world. The older the dune, the brighter the colour from slow iron oxidisation and minute fragments of garnets. Dwarfed by the sheer size of the dunes, your footprints look like insect trails and each step forward forms a mini sand-slide. The solitude is immeasurable and your place in the great scheme of life takes on a curious insignificance. Visually powerful and deafeningly silent, this unforgettable experience is a high point of our visit to the Namib. 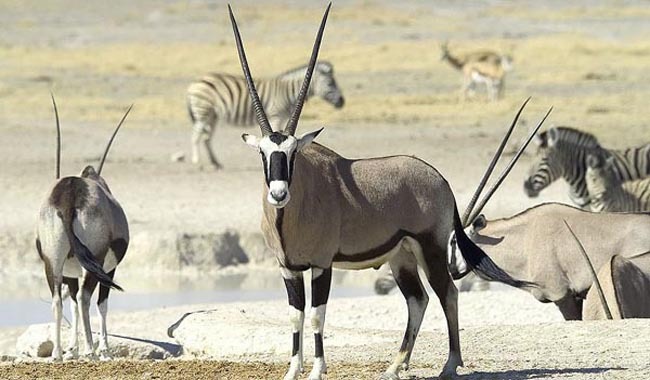 Possible game sightings include oryx antelope, springbok, or ostrich. At Sossusvlei we have plenty of time to walk into the heart of the dunes, scale a dune or two for panoramic views, and walk across the sand to a pan called Dead Vlei. This spooky place is named as such because of the blackened dead acacia trees that "sprout" from a blinding white pan against an orange dune backdrop. Stupendous. 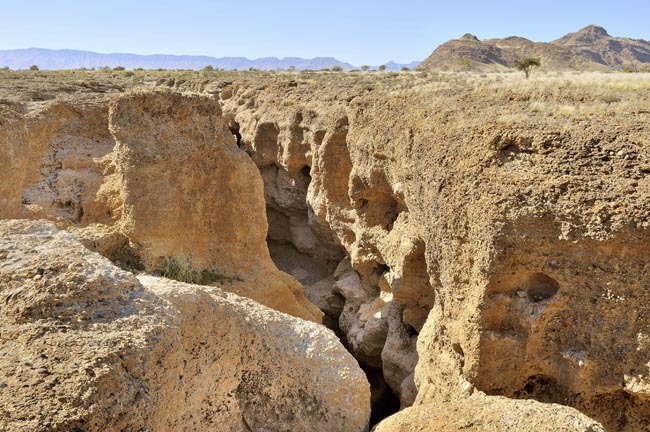 On our way back to our accommodation we will make a stop at Sesriem Canyon, located near the entry gate to Sossussvlei. It was an important source of water for early inhabitants and even during dry times there is water in the upper reaches, where deep clefts in the rock reduce evaporation. Explorers, transport riders and early travellers used to lower a bucket down to collect the water and it normally took 6 lengths of thong tied together, hence the Afrikaans name 'Ses' meaning six, and 'Riem' meaning thong. The canyon was formed by the Tsauchab River rising in the Naukluft and Zaris Mountains to the east, and flowing through to Sossusvlei. Walking through the canyon takes you on a journey back 10-20 million years ago when sedimentary layers of gravel and sand were deposited and cemented together by lime. The ledges are now inhabited by pigeons, raucous pied crows and chattering starlings. We'll have a picnic breakfast en route and likely a late lunch upon return to our lodge. Today we head east into Namibia's Caprivi Strip, a narrow piece of land that separates Botswana from Angola. We pass through the town of Rundu, a rapidly growing town and the administrative center and main economic hub of the Kavango region. The area produces mahangu (millet), cattle, goats and wood carvings. Due to it's close proximity to Angola, Rundu has a slight Portuguese influence. 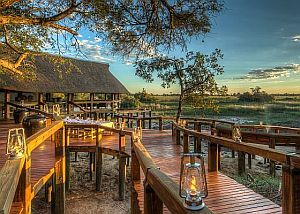 We break up our journey with an overnight stop at a wilderness lodge located on the southern shores of the Okavango River (which is the border between Namibia and Angola). This is a beautiful and remote area known for the sparseness of human habitation and the richness of its wildlife, including countless bird species. Overnight in the Caprivi Strip. 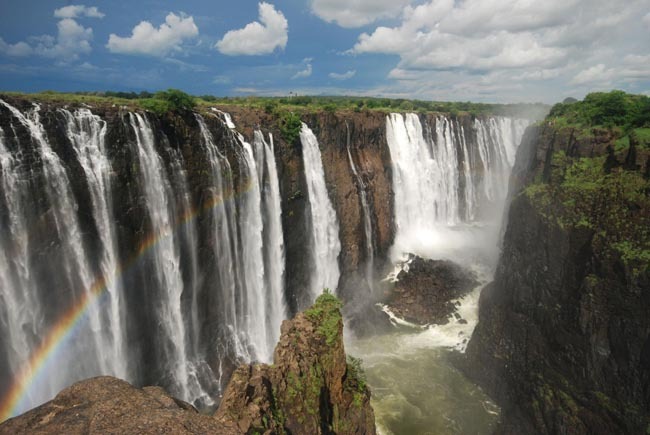 Today we fly from Windhoek to Victoria Falls. After settling into our hotel, we'll travel by road a short distance to the Zambezi River on which we will enjoy a scenic sunset cruise above the falls. 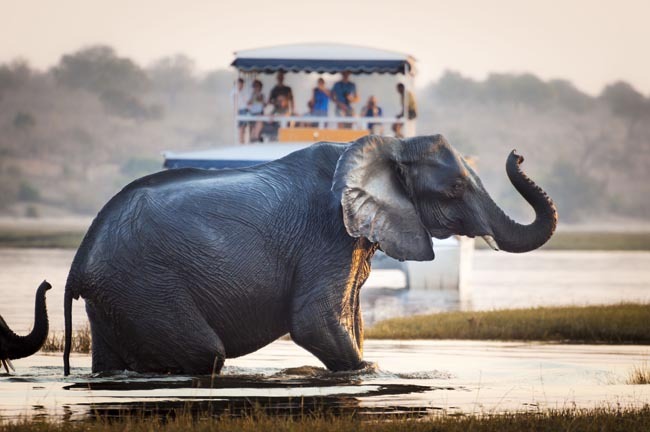 The river here is wide and slow moving; be on the lookout for hippo, elephant, antelope, giraffe and myriad bird species for which the region is famous. Mosi-oa-Tunya ("The Smoke That Thunders") is one of the most amazing sights in the world: twice as high as Niagara Falls and several times longer. 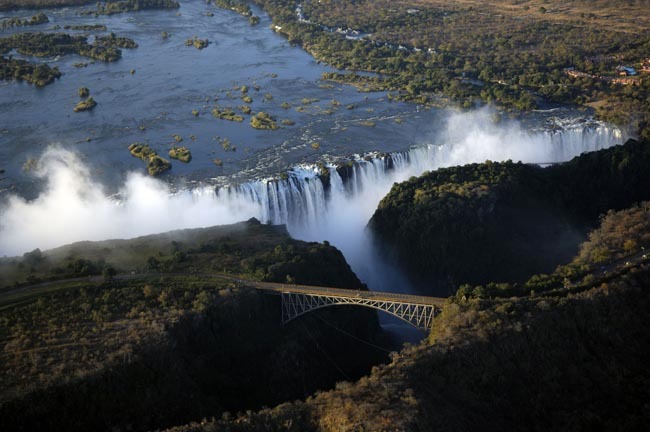 It took thousands of years of erosion for Victoria Falls to appear as and where	it does now. 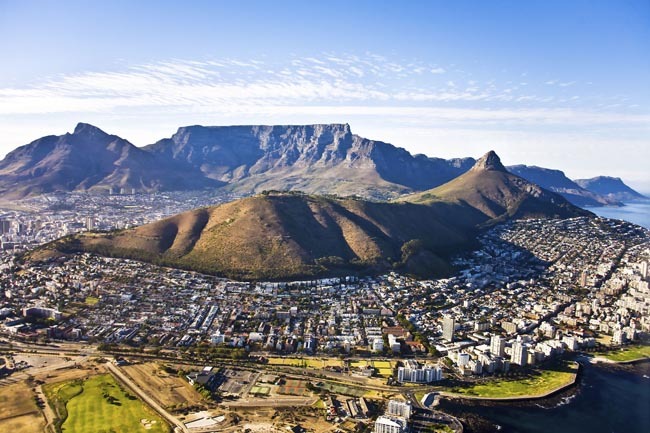 During the Jurassic Period (150-200 million years ago), volcanic activity resulted in thick basalt deposits covering large parts of Southern Africa. As the lava cooled and solidified, cracks appeared in the hard basalt crust, which were filled with clay and lime. Erosion and the course of the mighty Zambezi River cut through these softer materials, forming the first of a series of waterfalls. The afternoon is yours to enjoy optional activities. You may relax by the pool, do some shopping in the village famous for local artisan crafts, or go sightseeing by micro-light aircraft or helicopter. Your guide can help plan your afternoon. Today our overland journey continues across the border to nearby Botswana and Chobe National Park near the town of Kasane. Today we double back to Kasane from where we connect with our flight into the Okavango Delta. 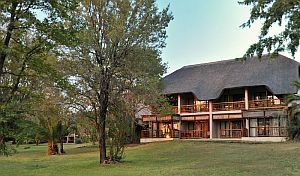 Our comfortable lodge is centrally situated in the Okavango Delta, deep amongst grass covered islands. Most of our game viewing will be on foot and by mokoro (dug-out boat); without the noise of a vehicle you will experience the bush in it's true form and be at one with nature. The silence will allow you to pick up the previously unheard sounds of the bush usually hidden by the mechanical hum of a car. Motorboat excursions may also be available, as well as game viewing in 4x4 vehicles further afield, depending on water level. ** Please note that gratuities for camp staff and guide in the Okavango are NOT included in your tour price. The Okavango Delta is unique. It is the largest inland delta in the world; instead of flowing into the sea, the annual flood of fresh water flows inland, spreading over 15000 sq km of the Kalahari sand in a maze of lagoons and channels. 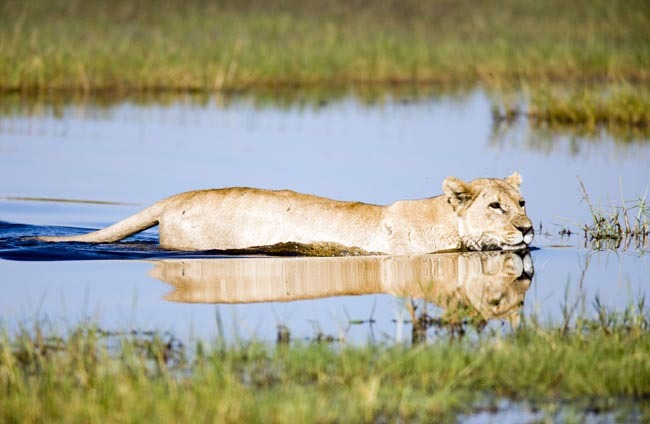 The Okavango Delta is a lush wonderland surrounded by the arid Kalahari Desert and home to many species of antelope, such as Lechwe and Tsessebe. Herds of buffalo, zebra and elephant that number in their thousands pass through annually on their migration routes. Today we fly to Maun, the main town and airport serving the Okavango region and connect with onward flights. PLEASE NOTE: If you booking your own flights from Maun, we suggest that you ensure that your departure time is is no earlier than 2:00 PM in order to account for our morning flight to Maun. 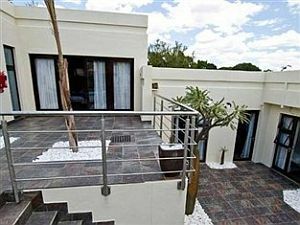 Galton House is Windhoek's newest accommodation establishment. Named after the famous explorer Sir Francis Galton, it has a relaxed but ...	style which creates a very welcoming atmosphere. Impressive wildlife photography adorns the walls whilst the rest of the interior is a combination of modern minimalistic and understated chic. 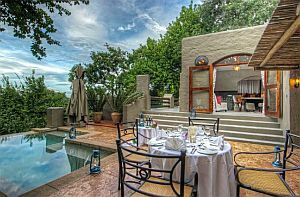 A mere ten minute drive from the centre of town and perched on the edge of Windhoek's northernmost affluent suburb of Eros, guests staying here will be ensured of peace and tranquillity. There is Wi-Fi throughout the property and the eight guest rooms all have wired internet connectivity and satellite television. There is a coffee/tea station available in the reception area and these can also be provided in the rooms on request. The rooms are bungalow-style. Adobe walls are shaded by canvas roofs, almost Berber-like in their covering of the slate floors ... The property features a swimming pool, bar, curio shop. Warm beverages and cold water are available at no cost to guests 24 hours a day. Built in and around the old Station Building the hotel combines architectural beauty with first-world comfort. The rooms are all ...	in a Victorian-style reminiscent of a bygone era of grace and civility. Rooms have individual air conditioning, television, tea/coffee making facilities, bathroom with bath, shower and toilet, direct dialling phones, electronic safes, electric razor plugs, fully stocked mini bars, hair dryers, eight channel TV. Andersson's Camp takes its name from Charles Andersson, the Swedish explorer who first 'discovered' the Etosha Pan with Sir Francis ...	in 1851. Set against the backdrop of the low Ondundozonanandana Mountains, Andersson's Camp is surrounded by scrub-covered plains and white calcrete soils. This former farmstead has been tastefully rebuilt to modern-day standards. 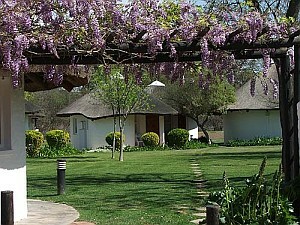 The old farmhouse now forms the main area of Andersson's Camp with 20 tents (16 twin-bedded and 2 family units) radiating outwards into the secluded mopane woodlands typical of the region. Tents are a clever mix of calcrete stone cladding, canvas and wood, with double-door entrances and a small veranda that is an extension of the elevated wooden decks on which the tents are constructed. The en-suite bathrooms continue the unique design. The family units comprise two tents connected by a raised boardwalk. 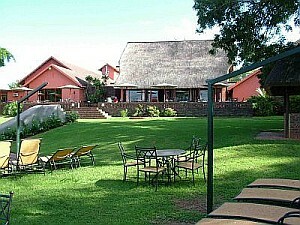 This is one of two properties we use in Chobe (the other is Chobe Mariner Lodge). 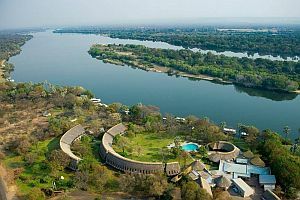 On the banks ...	the mighty Chobe River lies Cresta Mowana Safari Resort & Spa - where nature meets luxury! In these tranquil surroundings you will come to experience true African comfort: superb, spacious accommodation, delectable cuisine and personalized, one-on-one service. Experience relaxation and recuperation with a range of treatments at the on-site spa, or with a leisurely canoe trail on the waters of the Chobe. Breakfast daily, most dinners. Most lunches in Botswana. Purified drinking water in Botswana. 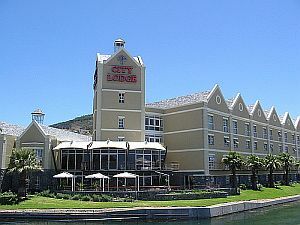 All accommodation, transport (flight Cape Town-Windhoek for land & air passengers), sightseeing and entrance fees for sites noted as 'visited' in the detailed itinerary. 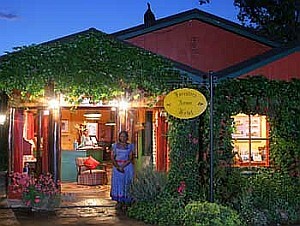 Gratuities for drivers, local guides, restaurant staff, porters EXCEPT in Victoria Falls & Okavango. Airport transfers for land & air customers arriving/departing on tour dates. International airfare to/from the tour. Tour Leader gratuities, gratuities for guides and lodge staff in Chobe and Victoria Falls, most lunches, drinks, personal items (phone, laundry, etc); international (if applicable) and domestic air and airport taxes, Cape Town-Windhoek flight for land only passengers, visa fees, and any excursions referenced as 'optional'. Airport transfers for Land Only customers. Optional trip cancellation insurance. Our post-reservation trip notes offer further guidance on shopping, visas, and locally paid departure taxes. SOUTH AFRICA: Sep-Nov: Short-lived thunderstorms are a frequent occurrence, especially in the north. Low water season at Victoria Falls. June/July coincides with "winter" in Southern Africa-warm and dry days and cool-cold nights in the northern regions. Game parks are dry and cool with short grasses that enhance game spotting. In the Cape weather conditions can be highly changeable with wind and rain possible. Medium water levels at Vic Falls. NAMIBIA/BOTSWANA: Our departures in Sep/Oct will experience hotter temperatures, especially inland (30-35 C/85-90 F). SOUTH AFRICA: Air-conditioned motor coach, 24-40 seater depending on group size (see 'Group Size'). Open safari vehicles in Chobe, Kruger, and Hluhluwe parks. We have some full bus days but routes are scenic, stops are frequent, and roads are excellent. Internal flights via scheduled carriers. 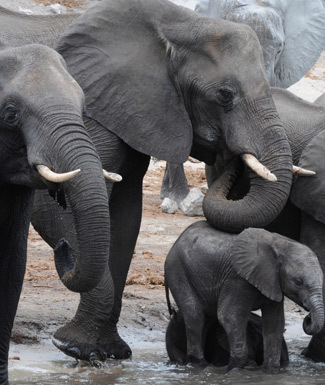 NAMIBIA: Varies depending on group size. Bus transport may be arranged, or the group may be accommodated in multiple Land Rover type vehicles. These are specially modified vehicles and are the best-suited for the conditions we will encounter. Note that air conditioning is VERY rare in vehicles in Namibia in general, though in a dry climate an open window should provide adequate relief. For our full days of game viewing in Etosha we will be using open safari-style vehicles (ie Land Rover/Land cruiser) with space for 4-6. BOTSWANA: We access remote lodges with chartered light aircraft. 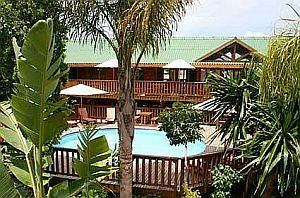 SOUTH AFRICA/NAMIBIA: Well-located, air-conditioned, 3-star hotels with en suite toilet and bath throughout (maybe shower only). Some hotels have hairdryers, irons, and outdoor swimming pools. Porter service is available throughout (see 'Inclusions'). Single rooms are limited and likely smaller than twins. There is no camping. 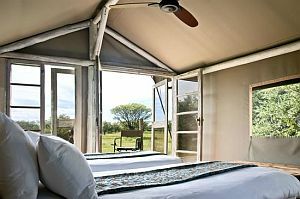 BOTSWANA: Lodges Okavango, Chobe and Vic Falls are very comfortable and with all modern conveniences. Tour Leader throughout South Africa. Local leader in Namibia, drivers, local guides at various locations. Local lodge guides and agent support in Victoria Falls - your Namibia leader will not accompany to Victoria Falls & Okavango where your experience will be managed by our trusted local representatives and lodge staff.